Flipper return spring as used on some late-model Sega and modern Stern Pinball games. Mounts on side of flipper mechanism between mounting tab and flipper crank tab. Measures approx. 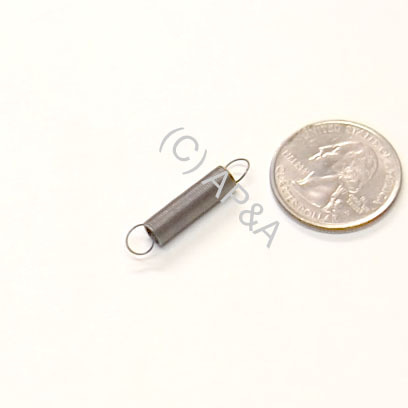 1-inch overall length, 3/16-inch diameter. Can also be used on Bally/Midway linear flipper assemblies (1980-1987). Replaces Gottlieb # A-779.